The Netherlands, May 8, 2013 – DSM Dyneema, the manufacturer of ultra high molecular weight polyethylene (UHMwPE) fiber, branded as Dyneema®, and world leader in life protection materials, today announced a major new milestone for its lightweight, cost-effective Dyneema® BT10 ballistic tape. FNSS Savunma Sistemleri A.Ş., a leading producer of armored vehicles based in Turkey, won an important contract from an Asian government to manufacture 8×8 “PARS©” amphibious armored personnel vehicles featuring spall liners made with BT10. Importantly, cost effective BT10 combined with its superior ballistic performance enabled FNSS to meet the highly stringent specifications for the spall liner. Spall liners protect vehicle occupants from high-velocity fragments that are created when, for example, explosive shells send shock waves through the vehicle’s metal armor. 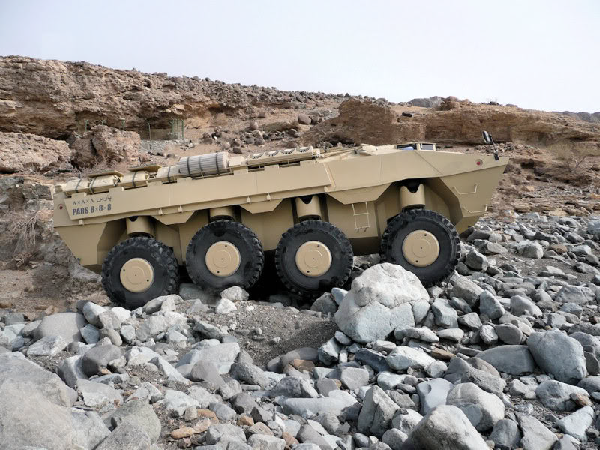 In developing the armored vehicles, FNSS says it put special emphasis on mobility, protection, and payload. FNSS will use Dyneema® BT10 tape for spall liners in 257 PARS© (Turkish for Anatolian leopard) vehicles. 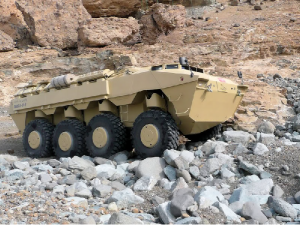 The amphibious vehicle will be supplied in 12 variants during 2013-2018. FNSS has an extensive product line consisting of a universal family of tracked and wheeled armored combat vehicles and combat utility vehicles. It already supplies the armed forces of Turkey and allied nations.Dyneema® tape materials are woven and laminated sheets made from UHMwPE tape. Part of a growing range of lightweight and ultra-high armor protection material solutions from DSM Dyneema, BT10 has been tested and certified according to international standards. Further information on DSM Dyneema is available at www.dyneema.com.